Effective June 1, 2016, Mike Suco will serve as the Vice President of the East Region for Coca-Cola UNITED. In his new role, Mike has accepted the leadership responsibilities for sales and distribution within UNITED’s current Georgia and South Carolina territory, which includes: Augusta, Milledgeville, Brunswick, McRae, Savannah, Statesboro, and Waycross territories in Georgia; and Spartanburg, South Carolina. Additionally, pursuant to the Letter of Intent between UNITED and The Coca-Cola Company and subject to the parties reaching a Definitive Agreement, Mike’s responsibility will include sales and distribution for UNITED’s expanded Georgia territory into Metro Atlanta, Athens, Gainesville, Lawrenceville, Macon, and Dublin, Georgia. 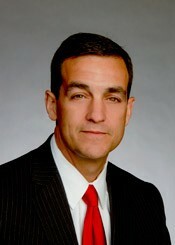 Mike Suco began his career in the Coca-Cola System in 1996 as a Market Development Manager for The Coca-Cola Company. In this role he was responsible for the relationship between multiple Coca-Cola Bottlers and The Coca-Cola Company. In 2000, Mike joined Birmingham based, privately held Coca-Cola Bottling Company UNITED as the Director of Marketing and Key Accounts. He and his team led the marketing efforts and managed all key account customer relationships for the Birmingham Division. In 2008, he was promoted to the corporate role as Director of Commercial Leadership – Retail where his team implemented several key sales capability initiatives such as the Go-To-Market process, Right Execution Daily, Sales Force Automation and DSD Delivery. This team also played a significant leadership role in the development of the Coke One North America (CONA) platform as part of the new territory expansions. After graduating from Jacksonville State University with a B.S. in Business Administration, Mike joined The Ernest and Julio Gallo Winery in 1991. He began in their distributor network in Ft. Myers, Florida as a front line sales person and then progressed to District Sales Manager, Field Marketing Development Manager, Area Manager and State Manager in his 5 year career. Mike’s community and board affiliations include Hispanic Business Council-Past President, Fiesta-Hispanic Cultural Festival- Past President, YMCA of Greater Birmingham- Corporate Board, Petroleum and Convenience Marketers of Alabama-Associate Board and Boy Scouts of America. Mike enjoys competing in marathons, triathlons and playing golf. He, his wife Shelley, and two children, Bella and Michael Jr. will reside in Georgia.